This style is called "Cocoa & Lace".... The look of an antique lace in a taupe, tan & beige cotton cloth print. Boho Beach meets Victorian Romance. 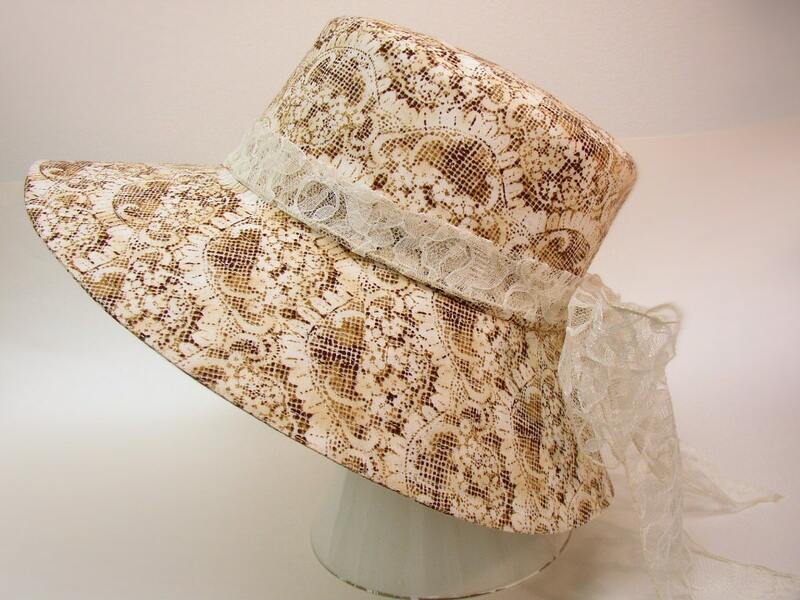 Casual elegance at its' finest - making this a wonderful, comfy hat for church, weekend brunches or afternoon tea. 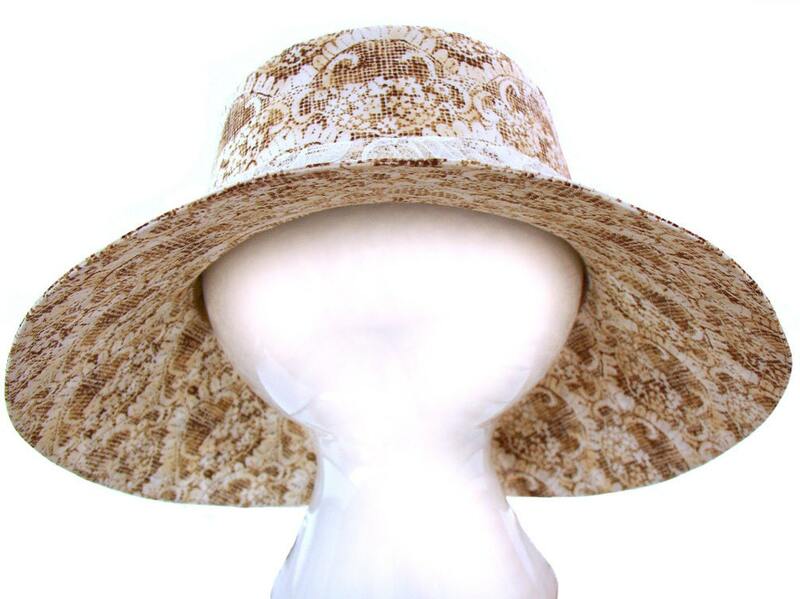 Matching beige top-stitching with a tan grosgrain band on the white-on-white floral print lining. 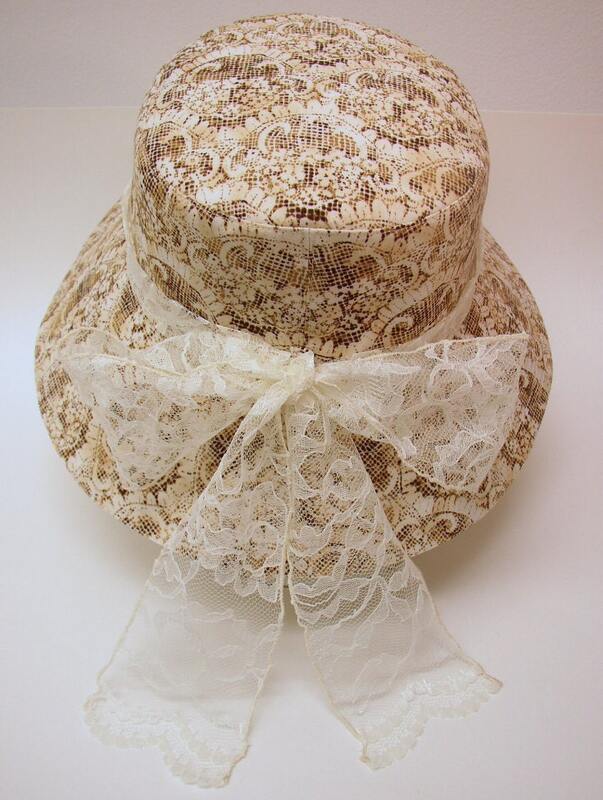 Accented with an cream colored lace sash. This hat has an inner circumference of 23 inches. 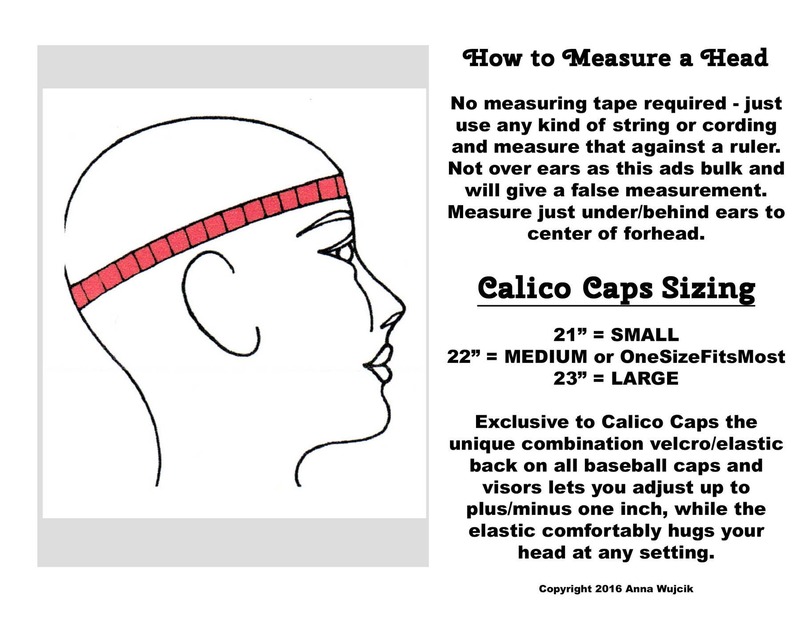 Also available in Baseball Cap style.